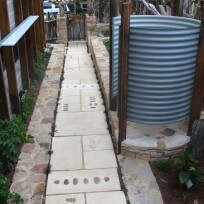 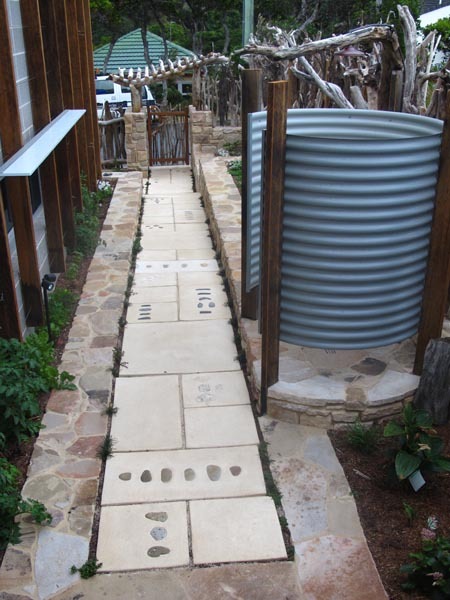 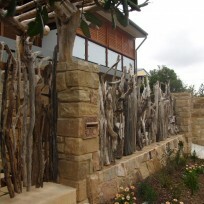 The Boronia Street design is unique. 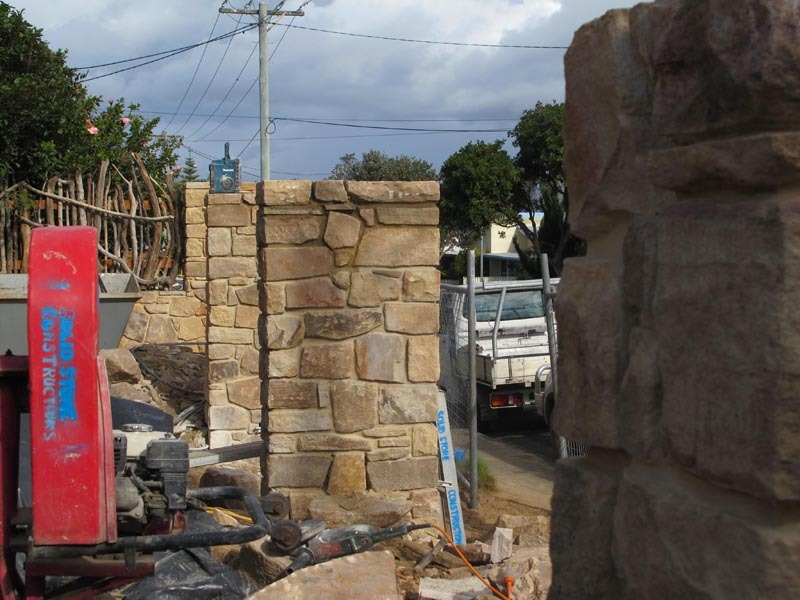 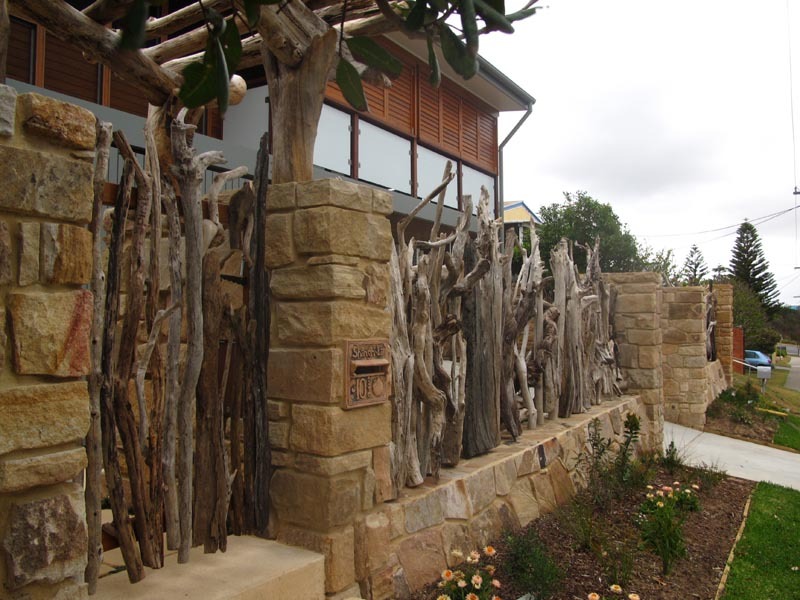 The owner together with a local artist collected driftwood to construct a fence that sits on top of double sided 100% sandstone walls. 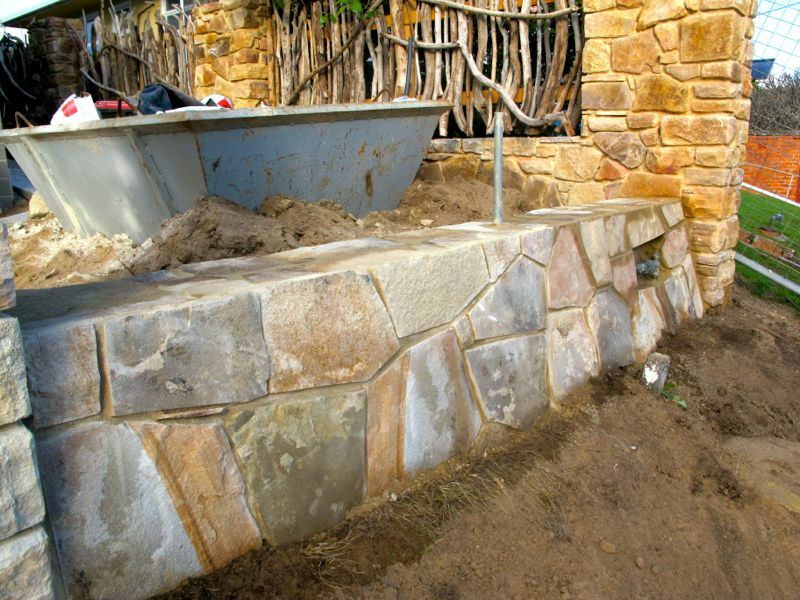 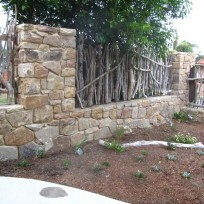 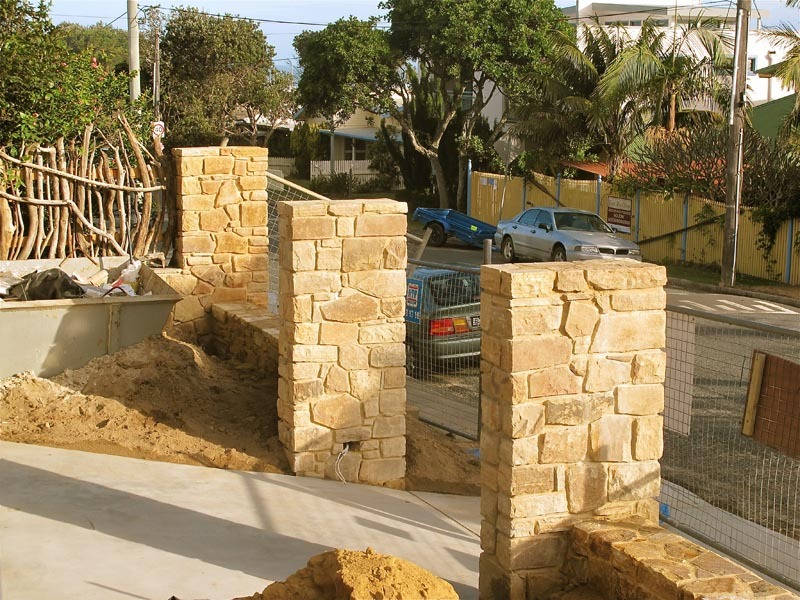 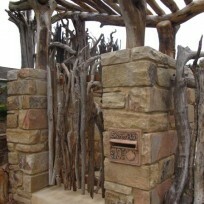 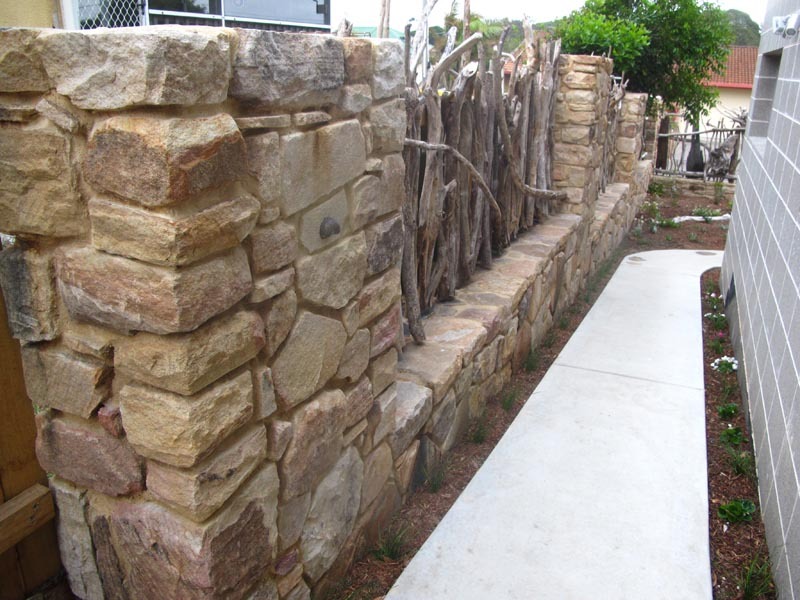 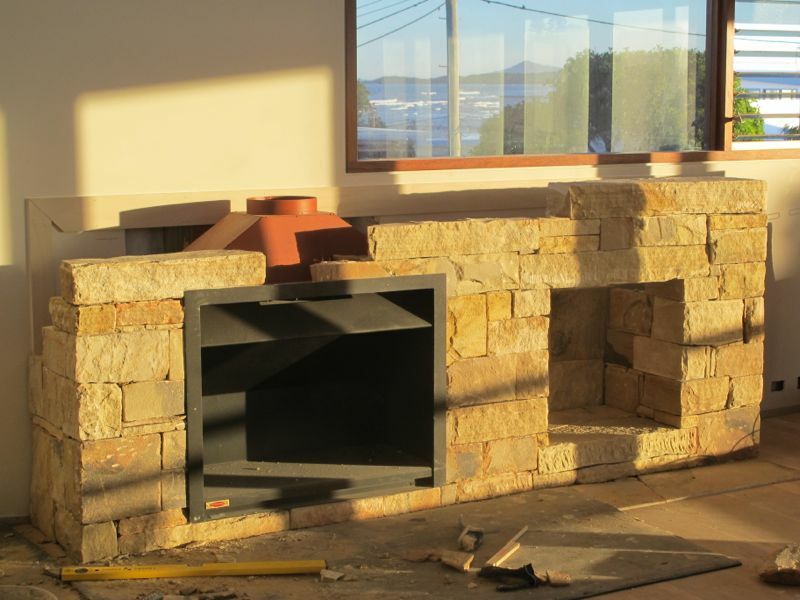 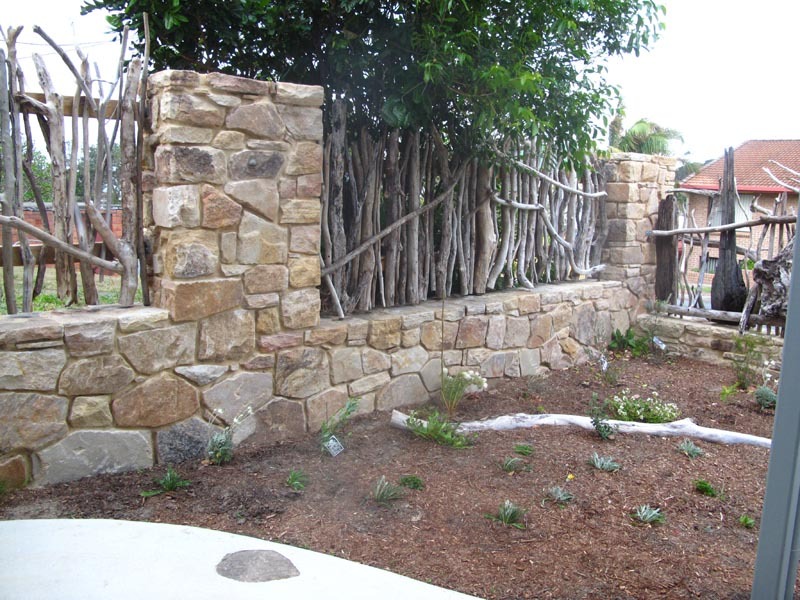 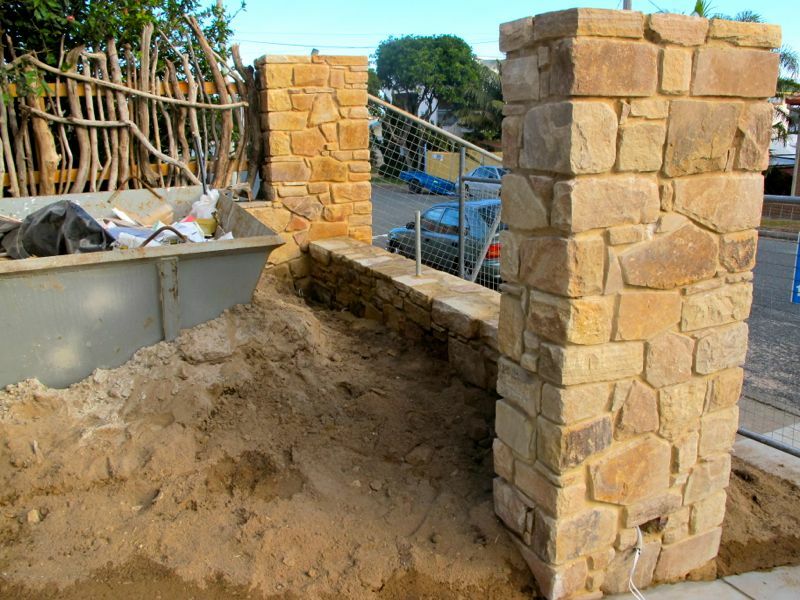 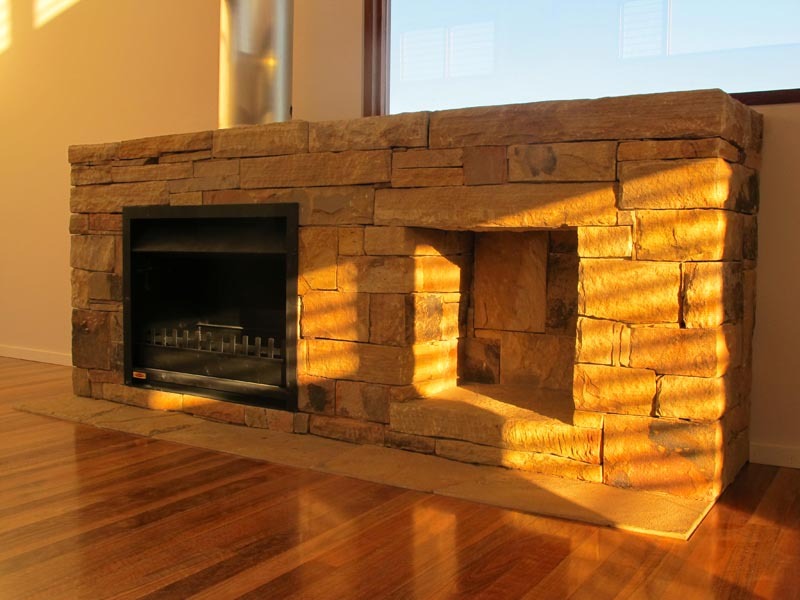 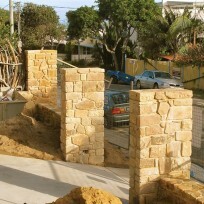 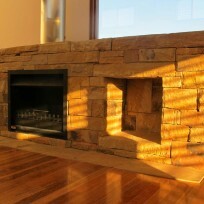 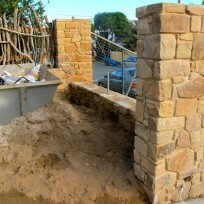 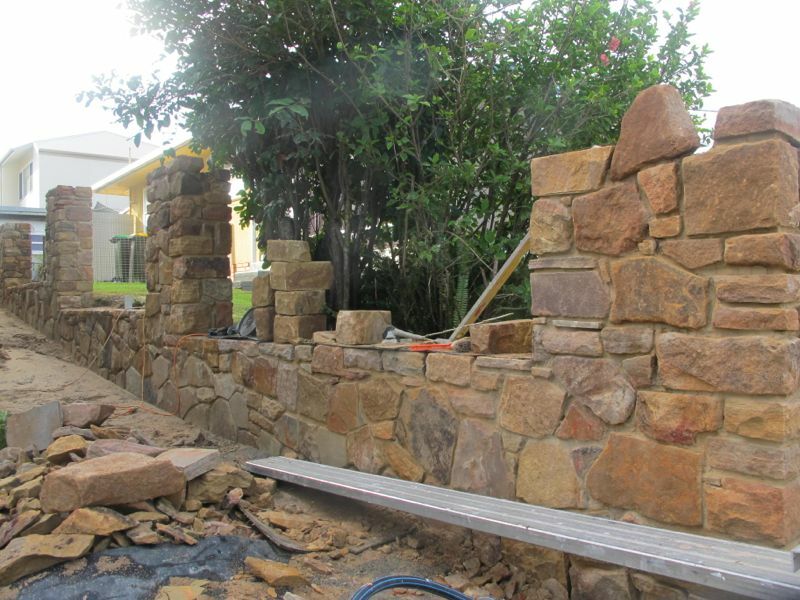 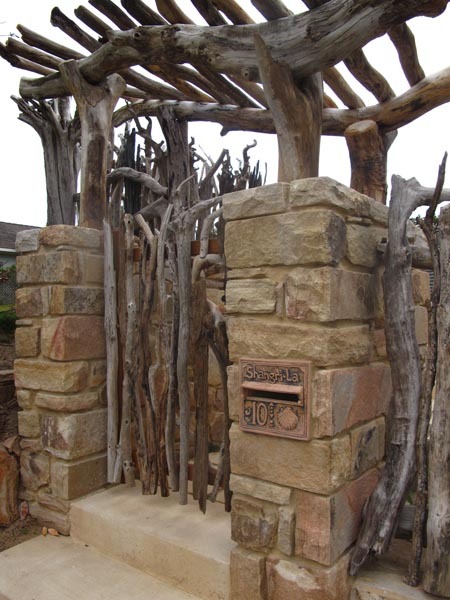 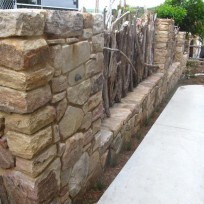 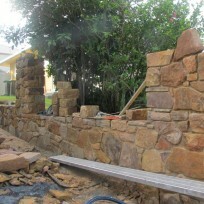 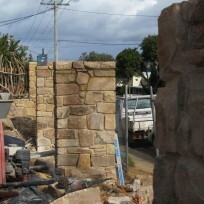 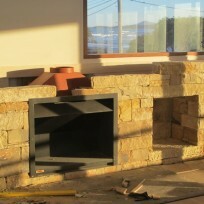 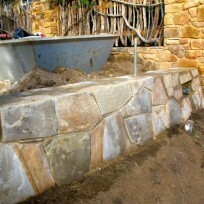 The sandstone is from Glenreagh, very workable and pleasing colour range.